Where's the Beef? Does Digital Humanities Have to Answer Questions? The criticism most frequently leveled at digital humanities is what I like to call the “Where’s the beef?” question, that is, what questions does digital humanities answer that can’t be answered without it? What humanities arguments does digital humanities make? These concerns are justified. Does digital humanities have to help answer questions and make arguments? Yes. Of course. That’s what humanities is all about. Is it answering lots of questions currently? Probably not really. Hence the reason for worry. But this suggests another, more difficult, more nuanced question: When? When does digital humanities have to produce new arguments? Does it have to produce new arguments now? Does it have to answer questions yet? In 1703 the great instrument maker, mathematician, and experimenter, Robert Hooke died, vacating the suggestively named position he occupied for more than forty years, Curator of Experiments to the Royal Society. In this role, it was Hooke’s job to prepare public demonstrations of scientific phenomena for the Fellows’ meetings. Among Hooke’s standbys in these scientific performances were animal dissections, demonstrations of the air pump (made famous by Robert Boyle but made by Hooke), and viewings of pre-prepared microscope slides. Part research, part ice breaker, and part theater, one important function of these performances was to entertain the wealthier Fellows of the Society, many of whom were chosen for election more for their patronage than their scientific achievements. Upon Hooke’s death the position of Curator of Experiments passed to Francis Hauksbee, who continued Hooke’s program of public demonstrations. 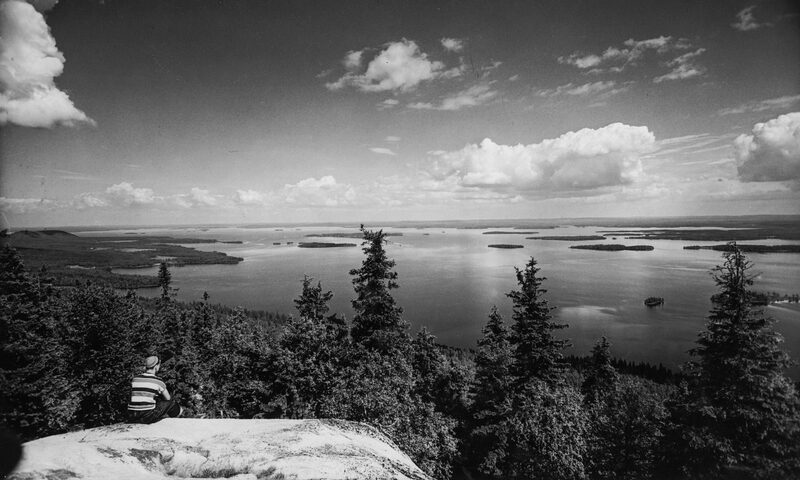 Many of Hauksbee’s demonstrations involved the “electrical machine,” essentially an evacuated glass globe which was turned on an axle and to which friction (a hand, a cloth, a piece of fur) was applied to produce a static electrical charge. Invented some years earlier, Hauksbee greatly improved the device to produce ever greater charges. Perhaps his most important improvement was the addition to the globe of a small amount of mercury, which produced a glow when the machine was fired up. In an age of candlelight and on a continent of long, dark winters, the creation of a new source of artificial light was sensational and became a popular learned entertainment, not only in meetings of early scientific societies but in aristocratic parlors across Europe. Hauksbee’s machine also set off an explosion of electrical instrument making, experimentation, and descriptive work in the first half of the 18th century by the likes of Stephen Gray, John Desaguliers, and Pieter van Musschenbroek. There’s a moral to this story. One of the things digital humanities shares with the sciences is a heavy reliance on instruments, on tools. Sometimes new tools are built to answer pre-existing questions. Sometimes, as in the case of Hauksbee’s electrical machine, new questions and answers are the byproduct of the creation of new tools. Sometimes it takes a while, in which meantime tools themselves and the whiz-bang effects they produce must be the focus of scholarly attention. Eventually digital humanities must make arguments. It has to answer questions. But yet? Like 18th century natural philosophers confronted with a deluge of strange new tools like microscopes, air pumps, and electrical machines, maybe we need time to articulate our digital apparatus, to produce new phenomena that we can neither anticipate nor explain immediately. At the very least, we need to make room for both kinds of digital humanities, the kind that seeks to make arguments and answer questions now and the kind that builds tools and resources with questions in mind, but only in the back of its mind and only for later. We need time to experiment and even—as we discussed recently with Bill Turkel and Kevin Kee on Digital Campus—time to play. The 18th century electrical machine was a parlor trick. Until it wasn’t. * For more on Hooke, see J.A. Bennett, et al., London’s Leonardo : The Life and Work of Robert Hooke (Oxford, 2003). For Hauksbee and the electrical machine see W.D. 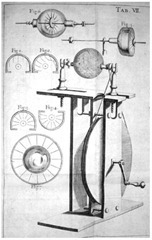 Hackmann, Electricity from glass : The History of the Frictional Electrical Machine, 1600-1850 (Alphen aan den Rijn, 1978) and Terje Brundtland, “From Medicine to Natural Philosophy: Francis Hauksbee’s Way to the Air-Pump,” The British Journal for the History of Science (June, 2008), pp. 209-240. For 18th century electricity in general J.L. Heilbron, Electricity in the 17th and 18th Centuries : A Study of Early Modern Physics (Berkeley, 1979) is still the standard. Image of Hauksbee’s Electrical Machine via Wikimedia Commons.